DGR207WN	This product is no longer available. 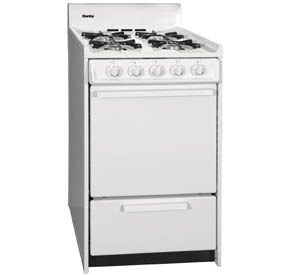 Our ultra-compact gas range measures only 20 inches wide but offers 4 burner plus oven. Taking up a minimum of space it is the perfect addition for trailers, cottages or accessory apartments. Compatible with Natural Gas or Liquid Petroleum fuels.